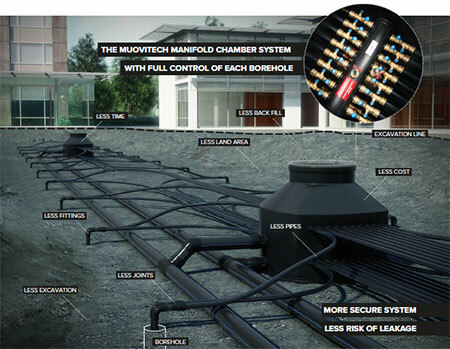 The MuoviTech Manifold Chamber System has a lot of benefits compared to a traditional reverse return design. You will save costs and time. You use less excavation, back fill, pipes, fittings, joints and land area.